The Difference Between Kung Fu, Gung Fu, and Gung Ho. Are you gung-ho about kung fu? Me too. Ever since I was a kid, I’ve been obsessed with kung fu. And let’s be honest — I still am. Are these just different spellings of the same thing? Or different words? Or maybe different dialects? It’s confusing, isn’t it? Or perhaps I should say, kungfusing? Ha! This article aims to clear up all of that kungfusion. If you’re gung ho about kung fu, then whatever style you practice — whether it is Shaolin or Tai Chi or Wing Chun or whatever — you will probably learn something about the Chinese language in this article. All of the various spellings — kung fu, gung fu, gong fu, gōngfū — refer to these two Chinese characters. Simple! End of article, right? Unfortunately, not. There’s more to the story. In English, we can spell thousands of words using only 26 letters. This is because we were lucky enough to have inherited an awesome invention called an alphabet. This raises an issue that you probably haven’t thought about (unless you’ve studied Chinese). In Chinese, there’s no such thing as “spelling”. It just doesn’t exist because there’s no alphabet. If you see something spelled in Chinese, like the words “kung fu”, then no matter what the spelling is, it’s a modern, English invention. Most Westerners can’t read Chinese. It’s all Greek to us. In order to make some sense of Chinese characters, Westerners needed a way to write them using our alphabet. The obvious choice was to simply sound out the words, and then decide how to spell them. But how do you spell such foreign-sounding words? It’s not easy. There have been many attempts to do this. The two most popular attempts were the Wade Giles system and the Pinyin system. kung fu is the Wade Giles spelling. Today, the Wade Giles system is in decline, and the Pinyin system is on the rise. 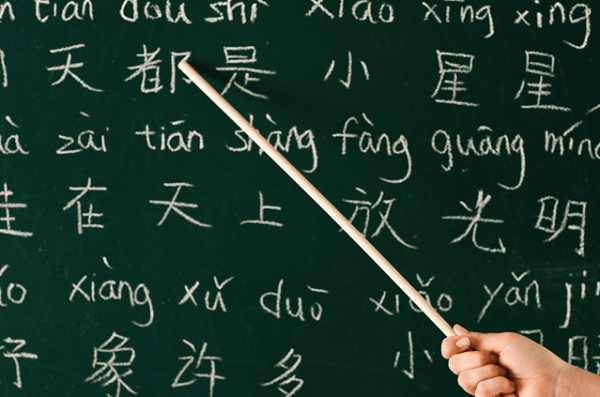 Pinyin has also become the official system in mainland China. So then why is it “Kung Fu Panda” rather than “Gōng Fū Panda”? Because of habit. The spelling “kung fu” has been in use longer. The same is true for the spelling of Tai Chi, which should ideally be Tai Ji. The Cantonese Version of Kung Fu? As I said earlier, “kung fu” comes from the Wade Giles system, and “gong fu” comes from the Pinyin system. Both spellings would be pronounced identically in Chinese. Here’s the confusing bit: The characters 功 夫 are pronounced almost identically in both the Cantonese and Mandarin dialects. Typically, the pronunciation would be different. But not so with 功 夫. When we refer to the language Chinese, we’re actually talking about multiple dialects. The most popular (and also the official) dialect is Mandarin. Then there’s Cantonese, which is especially popular in Chinese communities outside of China. There’s also Shanghainese, Minbei, Taiwanese, Hakka, Gan, and many others. Here’s what you need to know about the different dialects: They’re all the same on paper. The spoken versions of Chinese vary greatly — much greater than the different English dialects worldwide. But the written versions are virtually the same. Different dialects would pronounce the characters differently, but the meaning would be the same. In other words, a Cantonese person might not be able to speak to a Mandarin person, but they could still write to each other. Imagine someone with a thick, Scottish accent. (This means you, Darryl!) When speaking, you might only understand 60% of what they say. But if they were to write a letter, you’d understand 100%, right? 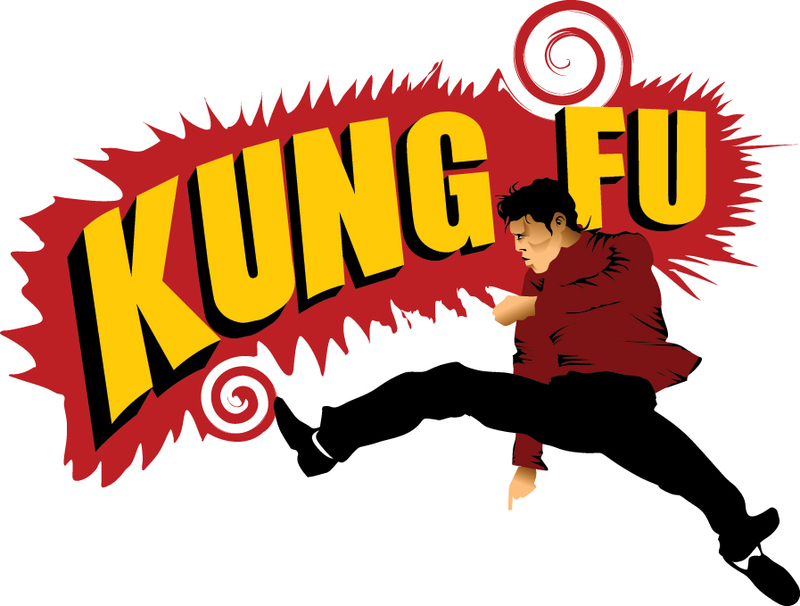 Now that we know all of this, how should we pronounce the words “kung fu”? Honestly, I just say it the way everyone else does. The words “kung fu” have made their way into the English language, and I see no need to pronounce them in Chinese any more than I see the need to pronounce “feta” with a Greek accent. The “fu” is easy. It’s pronounced like the English word “food”, but without the “d” at the end. The “kung” is not so easy, hence the many variations. The fundamental problem is that there’s no good English equivalent to the “u” sound. If you pronounce the English word “long”, but with a “g” instead of the “l”, then you’ll get about as close as you can. But this isn’t the whole story. We haven’t even talked about the tones in Chinese. Tones can change everything! But I think that’s a subject for another blog post. For now, your time is probably better spent practicing kung fu itself rather than practicing how to say it. So what are you waiting for. Go practice some kung fu, grasshopper! But if you’re interested in learning more about the Chinese language, then let me know in the comments, and I’ll write more on the subject in the future. This is very interesting. I’m not exactly sure why knowing this kind of thing makes the practice feel more clear and informed, except maybe since we know words and tones have vibration and vibration is energy. Good stuff! Good blog, very good blog! Thank you for this article, so good information. Interesting article, when I was younger, I’d see Bruce Lee spell Kung Fu, or pronounce it with a G. In the Iron Age, my father’s eldest ancestors migrated to southern Luzon in what eventually became the Philippines, so I always feel like I should know these things. Anyhow, the same thing occurs when you spell Chi Kung, which is a vague term for Energy Work. I believe Chi Kung, can be anything that involves energy, and work.Tai Chi, Taoism, Reiki, Pranic Healing, maybe acupuncture to. I’ve also seen “Qi Gong,” but I see it mo in reference to the martial art. I would be interested to hear more about the language! I like how the words “Siu Lum (Nim,Lim) Tao (Dao) translate to “little idea” or better yet “humble thoughts”. Sort of promotes thinking to go towards softness and humility rather than brashness and aggression. It’s interesting who serious MAs study can lead its practicioners towards deepened senses of kindness, compassion, gentleness and mercy. Good stuff. Always as much information as possible for me Sifu, even more regarding Chinese language or meanings thank you and interesting article for both those that know and those outside of martial art teachings.